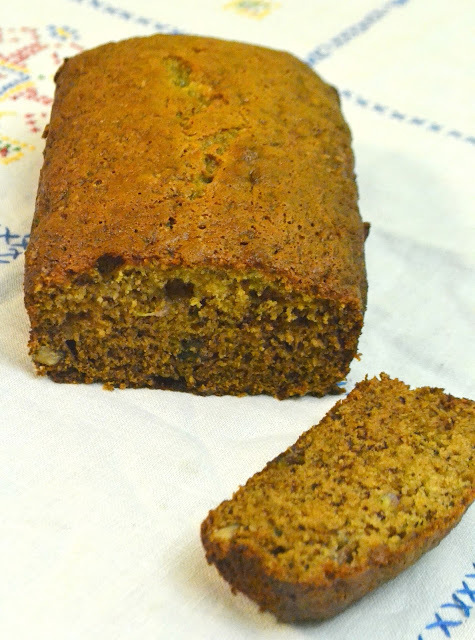 we all need a good banana bread or banana muffin recipe in our files and this one is simple and a classic. You just can not go wrong with it. You can reduce the sugar or use a sugar substitute that measures out like sugar does to make it easy to adapt to your dietary needs. It mixes to gether in a minute or two so easy to put together quickly. I love tha tyou can add in nuts or chocolate chips if you want. Bake as bread or muffins. Keep this one in your files. Grease and lightly flour a 4x8-inch loaf pan. In Mixing bowl: Mix together; bananas, butter,sugar, vanilla, and egg. Mix till well blended. add in baking soda and flour. Mix just until blended well. Pour the batter into your prepared loaf pan. Bake for 1 hou or until a toothpick nserted into the center comes out clean. Remove the banana bread from the pan.